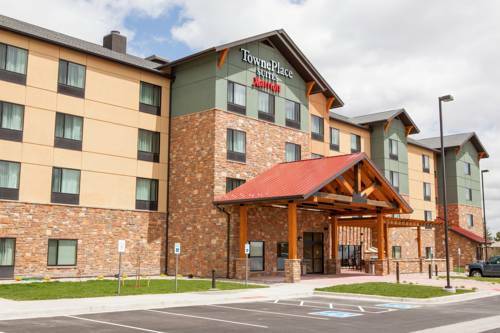 The TownePlace Suites by Marriott Cheyenne, WY is an ideal choice and provides just what you need to settle in when planning an extended stay in Cheyenne. With a reimagined space that is fresh, fun and functional and makes you feel right at home. We offer free high-speed Internet access, 24 hour business center, onsite fitness room, our In a Pinch 24/7 market and a breakfast area serving our healthy & free breakfast buffet. Our guest suites feature comfy furnishings, full kitchens, a HomeOffice with space to keep you organized and relaxed, and flat-panel HDTVs. We are located near Cheyennes Frontier Park, the home of Cheyenne Frontier Days, F.E Warren Air Force Base, Botanical Gardens, the Wyoming State Capital and Wyoming State Museum. When youre ready to roam, our knowledgeable staff and resourceful TowneMap are here to help you connect to the neighborhoods restaurants, attractions and local flavor. Now you can choose the convenience of our complimentary area shuttle to take you there.